London’s inner-city borough of Islington has newly installed a comprehensive borough-wide digital CCTV system to effectively tackle the issues highlighted in a borough-wide government initiated campaign; to combat crime and prostitution in the area and remove drugs from its streets. London’s inner-city borough of Islington has a population of almost 200,000 residents and is an area of significant social contrasts. It features one of the largest areas of urban Georgian architecture, a varied mix of retail facilities, restaurants, bars and clubs. Encompassing two Westminster parliamentary constituencies, Islington and Finsbury, it was famously Tony Blair’s residence previous to his election, and has been home to many famous residents, past and present, including actress Neve Campbell, and writers Douglas Adams, Nick Hornby and George Orwell. This progressive area of <?xml:namespace prefix = st1 ns = "urn:schemas-microsoft-com:office:smarttags" />London continues to enjoy firm community links, fuelling resurgence in business and building development over recent years, the most recent of which being the new Emirates stadium, home to Arsenal FC. A key element of this resurgence has been a concentrated effort from the council to secure the borough and protect its residents via an increased police presence, backed by a comprehensive borough-wide CCTV system. The new Islington surveillance system was planned as an expansion of the existing Kings Cross scheme that entered service in 1997, but the system had subsequently reached its maximum capacity and was eclipsed by the rapid developments in modern CCTV technology. Islington’s new ￡650,000 CCTV control room facility features an impressive monitor wall with over 160 square feet of video display area, including 48 CRT monitors, 3 back projection screens and 8 TFT displays. Specified by systems designer Cognetix and installed by the prime contractor Tyco Fire & Integrated Solutions - Traffic and Transportation, to address the unique issues faced within the Borough of Islington, the system has been designed to effectively tackle the issues highlighted in a borough-wide government initiated campaign; to combat crime and prostitution in the area and remove drugs from its streets. 17 km fiber-optic backbone cable linking over 120 cameras, feeds information to the control room, providing visual covering of the Borough of Islington from Kings Cross, through to Finsbury Park and Archway. 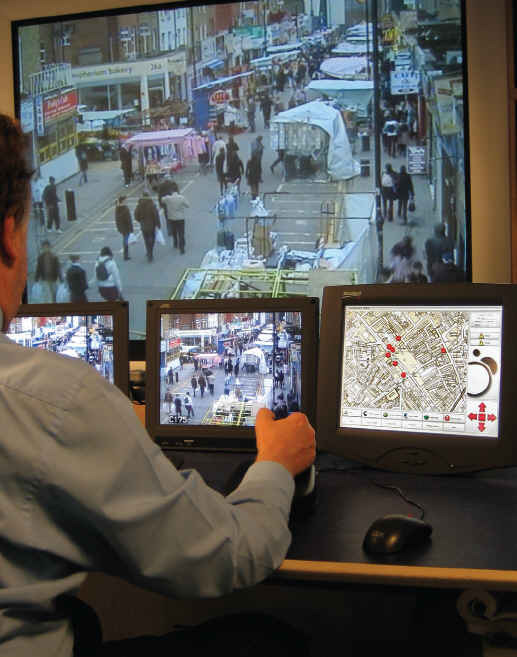 This comprehensive camera coverage affords Islington’s command and control room operators an unparalleled view of the borough. With system designers Cognetix placing each camera in a pre-qualified, audited location, each unit effectively gathers the maximum amount of information possible from its specific scene of coverage. This economical camera placement, coupled with experienced, SIA qualified control room operators secures an efficient audit trail from the very start of the evidential process. This evidential audit trail was particularly important when specifying both the control and recording aspects of the system, an issue Cognetix addressed by specifying a Synectics solution. 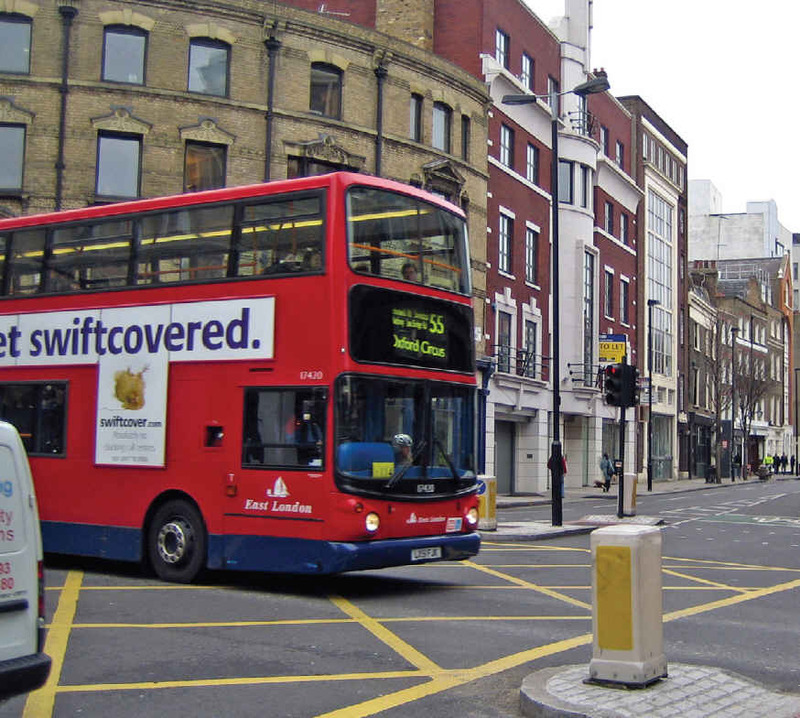 In the control room, Islington joins many other London boroughs, including The City and Camden, to deploy the use of Synectics’ SynergyPro control system. Utilizing over six positions, installed by Tyco Fire & Integrated Solutions - Traffic and Transportation, the system’s intuitive operator interface furnishes each user with a fast route to all common system functions. In addition to this, supervisors now have the ability to monitor system usage and override its operation if and when necessary. Accompanying the award-winning control solution at Islington is Synectics’ equally revolutionary Time Lapse Later (TLL) digital recording solution. George Heath explains Islington’s decision to ‘go digital’, “With our old analogue recording system in the Kings Cross control room, we experienced drawbacks on a daily basis; firstly there was the usual tape management issues, needing to ensure that each tape was changed at regular intervals, this would absorb a great deal of our staffs time during each working day. Secondly, if an incident was captured on the system, we were forced to wait for the inserted video cassette to finish recording before we could retrieve it from the recorder and pass the footage on for police review. The Synectics TLL system is a natural partner to our control solution and using it, we are now able to instantly review any captured footage and immediately equip the police with the vital evidence they need for an effective prosecution.” Heath’s use of the Synectics TLL solution allows the automatic intelligent redistribution of the digital storage capacity and affords any of the system’s selected cameras to be recorded in real-time. Automatically recording whichever camera(s) the operator is using, it enables highly detailed, broadcast quality images to be captured at the very start of the recording process i.e., when it is liable to contain the most ‘evidential value’. Only later, after a three day period is time-lapsing introduced; to reduce the frame rate of the stored evidence down to eight frames/second for four days, then down to one frame/second for the remaining 30 days, correspondingly reducing the digital storage capacity required for its retention. In addition, unlike with standard digital recording systems, Islington’s Synectics TLL recordings employ very high-pixel count images, measured in Common Interchange Format (CIF). Typically 4 CIF, these recordings are four times more detailed (by pixel count) than those commonly offered, permitting more detailed recognition; a crucial factor in the presentation of key evidential information in court. Islington’s vast camera network creates a huge amount of visual information to process and potentially retain for further investigation. Catering for this, Islington’s experienced operators utilize SynergyPro’s ‘Evidence Locker’ management feature. A robust server configured to handle and store video evidence, the Evidence Locker provides a useful resource, acting as a central point for evidence management. Providing a full managerial audit trail, all usage is logged onto a database, and for future authentication purposes, a unique 128-bit MD5 hashing encryption code is created with every minute of video footage. If a copy of footage is required to be taken off-site, for example, by one of the police officers who frequently visit the control room to gather evidence for prosecution, the system saves the video clip and an evidence hashing code, logged and detailed in the form of a ‘Digital Evidence Certificate’ to prove its legitimacy. Forming a direct link between the public and the Islington control room is a ‘help-point’ located in the Nags Head area of Islington. This specially designed Kiosk affords members of the public a direct link to control room operators 24/7. Use of the help-point triggers two of the system’s PTZ cameras to be targeted on the kiosk, allowing the control room’s SIA trained operators to make a full assessment of the situation, initiating help from the blue-light services if necessary.